Please note that if you wish to enlarge a photograph, simply left click it with your mouse. 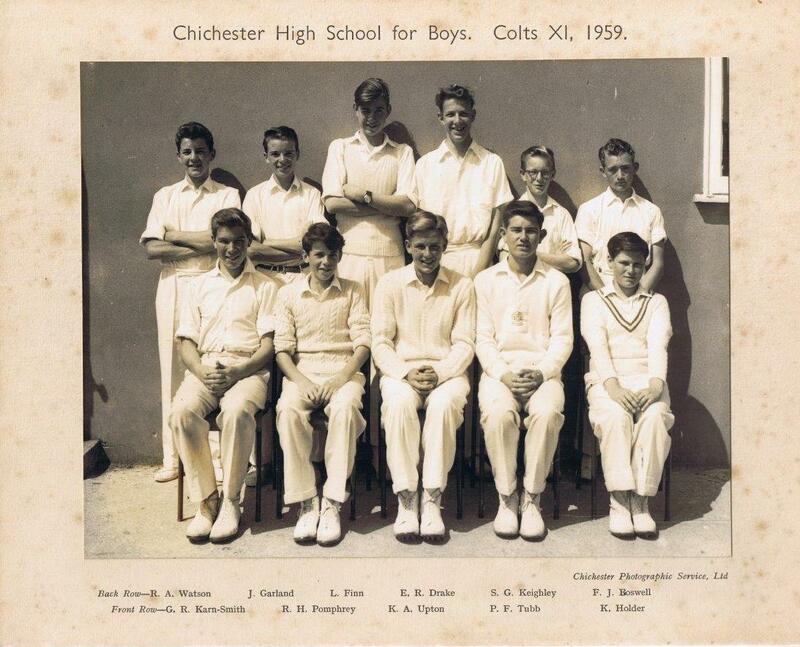 All our cricket teams benefited from the enthusiasm and ability of Frank Haill, a French Master who was the last amateur soccer player to appear in the old First Division (now the Premier League). 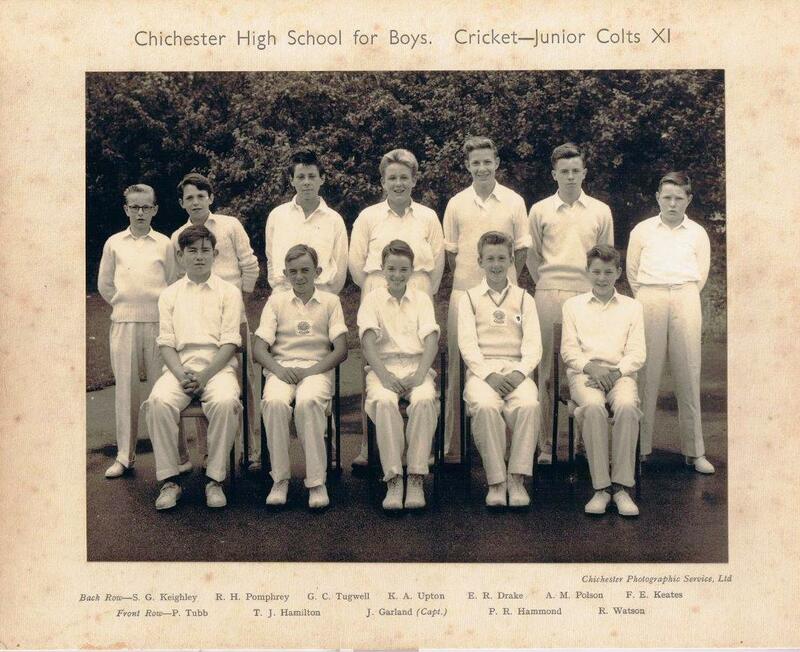 Our first team was good this year and there are no prizes for guessing that I am pointing out John Snow, seated front row, far right, who had joined us after his spell at Christ’s Hospital. 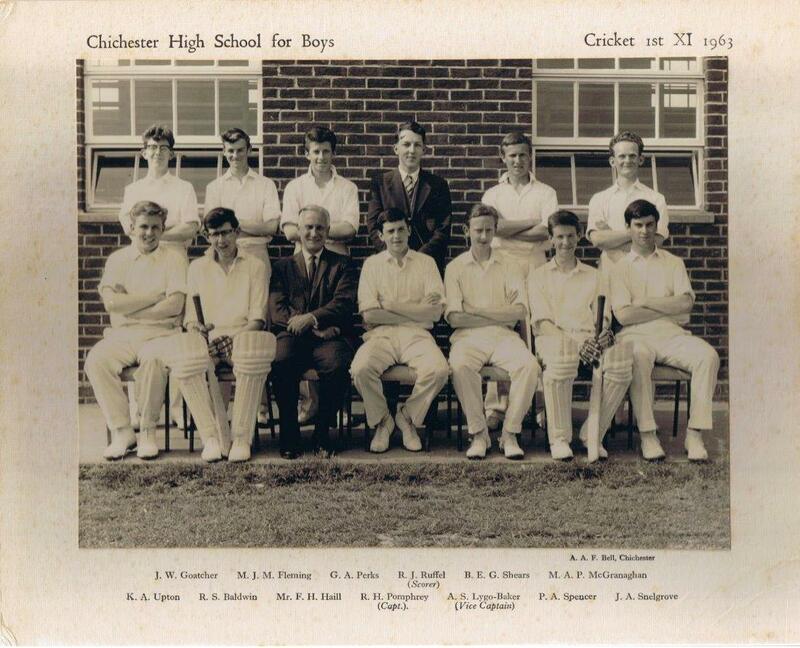 John, who went on to have a successful cricket career representing England, was quick, very quick and often not allowed to bowl at full pace on our school wickets. I have to mention Ruffell, our scorer, who was extremely dedicated and scored every game we played. Note from Glynn Downton (1956-1963) Robin John Ruffell, the scorer, was one of the cleverest boys of our generation (1956-1963 ). He has an MA from Cambridge and a PhD from Bristol. He became the Head of the Economics Dept at Stirling University. He was a quiet but likeable chap and deserved his academic success. Together with Nigel Sterry, who qualified as an architect, he was a very keen trainspotter. One would often see them at Chichester railway station. Almost a new team under Bob Pomphrey’s captaincy. 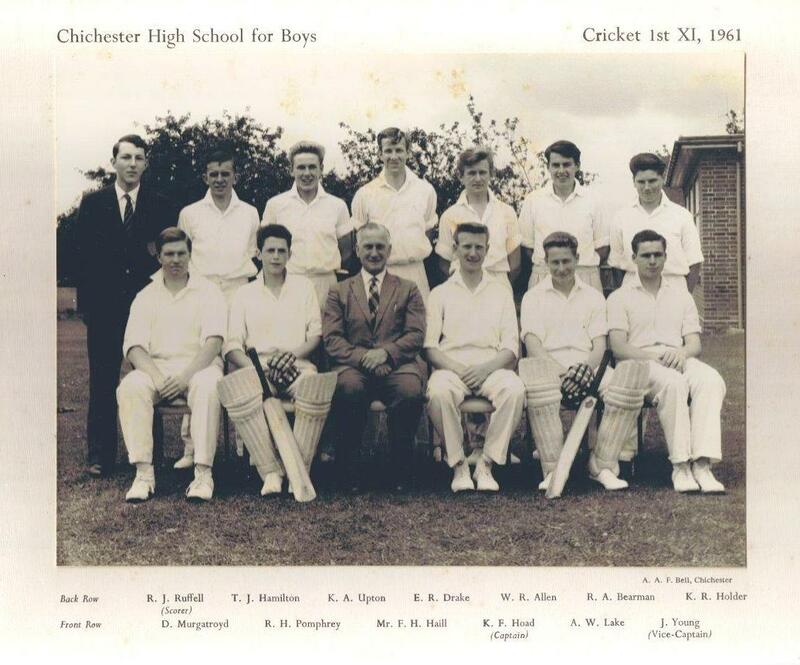 Bob had become a really good batsman by this stage and went on to further honours. Ruffel was our dedicated scorer again this season. All too often these supporting members are overlooked although performing a vital rôle for the team. You will note a very smiley Mac at the right back row. 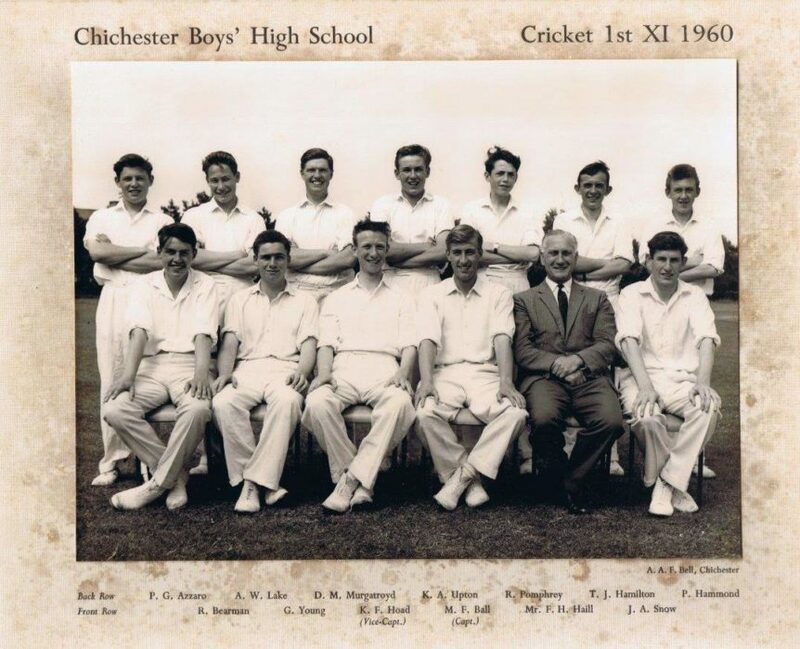 In 1958 Trevor Hamilton and Pete Hammond look as though they have county cricket school badges on their jerseys. I cannot see Bob Pomphrey’s jersey but this may have been a little too soon for him. Trevor was a prolific spinner of the ball whilst Pete was all pace.In 1959 Who said fast bowlers were tall! ?